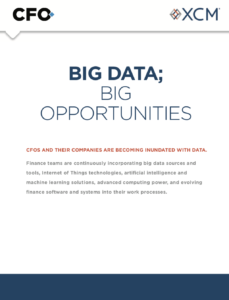 When so many web pages, whitepapers, and webinars promise that finance-led data analytics programs will transform an organization, it’s easy to buy into the hype. Cooler heads, though, understandably wonder: how effective are data analytics projects, really? Are finance chiefs (and other C-suite leaders) actually improving decision-making and boosting performance through the insights provided by mountains of data? And what kinds of barriers to success are organizations encountering once they embark on a project? Though these questions remain largely unanswered, U.S. organizations are jumping into the pool — at least half have adopted some kind of analytics software, according to IDC. 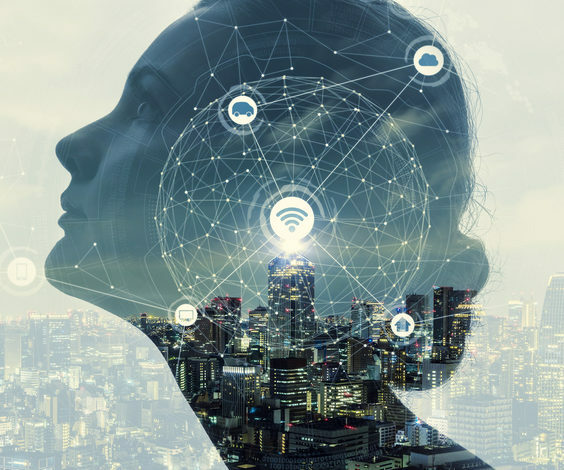 Similarly, a spring survey by The Hackett Group of global companies with more than $1 billion in revenue found that 40% are using advanced analytics already, and 80% plan to adopt it in two to three years. Forrester estimates the global market for advanced analytics tools will grow from $10.3 billion in 2017 to $18.6 billion by 2021, a nearly 16% compound annual growth rate. The numbers are no surprise, given that use cases now encompass a wide range of corporate goals, from boosting product quality to deploying workers efficiently to re-engaging customers who appear headed for the arms of a competitor. And the data science tools available are improving. In particular, self-service programs like IBM Watson Analytics, Microsoft Power BI, Salesforce’s Einstein, and Tableau Desktop put easy-to-use dashboards in the hands of line-of-business workers and are driving new applications. But, as CFO found in its 2017 IT survey, data analytics projects are “full of trouble spots, stumbling blocks, and blind alleys.” Enterprises can’t expect the insights to start rolling in just because a data analytics project has been greenlighted. Success may lie much farther down the path. Thirty years ago, finance used data analytics in budgeting, planning, and procurement decisions. There were no enterprise resource planning, customer relationship management, or e-commerce systems to draw data from. That’s no longer the case, but finance is still in a position to implement analytics programs not just for itself, but across the company. “Finance is one of the few departments that is required to work cross-departmentally all the time, to provide transparency and help find efficiencies and opportunities,” says Matt Hibbard, CFO of cybersecurity firm Distil Networks. Neetu Shaw, a partner at analytics consulting firm Clarity Insights, says she always recommends that the CFO of a company lead forward-looking data initiatives because of his or her strategic role. Yet, she acknowledges, often the CFO is nowhere to be found. Other experts agree: many CFOs, especially those who lack foresight, are ceding power to other executives, especially chief marketing officers (CMOs) and sales executives, who need to react quickly to marketplace changes. Some CFOs can take a whole month to close the books, points out Boris Evelson, a principal analyst at Forrester Research, but when a marketing chief sees that a campaign isn’t working, they can’t wait to react. That’s why some CMOs need their own data and technologies. “[They] have to change that campaign today because tomorrow customers are going to be gone,” Evelson says. But finance still holds the reins at some companies. The finance team at Toyota Financial Services (TFS), for example has been at the forefront of the company’s strategic use of data analytics across the organization. In one early win, it identified field offices whose year-over-year performance (measured in market share and profits) differed from peers regionally or nationwide. Management then worked with the underperformers to boost their results. Within one year individual field offices experienced 5% to 15% improvements, for an average 10% lift nationally. The widespread use of analytics within organizations, by those other than finance, can also present a challenge for CFOs who spearhead adoption projects: they may have to tread more carefully with other functions than perhaps they normally would. Payroll outsourcer Paychex has developed more than 50 analytical models in-house that do everything from evaluate the credit risk of potential customers to improve employee retention. One of the most valuable models anticipates which clients might be thinking of leaving. The model was so successful early on that the company created a dedicated client retention team to work from the information the model provided. The team reaches out to clients who have been identified as likely to jump ship, and reels them back in by, for instance, answering pricing concerns or fixing previously unknown service issues. In one particular group of customers targeted by the retention specialists, client losses fell by 50%. But the analytics group at Paychex, which reports to the CFO, initially experienced pushback from business users when its predictive models suggested certain courses of actions with customers. TFS learned to involve business users from the beginning. Finance or whichever department is leading has to be careful about how it communicates projects; otherwise users will just roll their eyes. “Even if internally you use words like ‘finance-led,’ a lot of people don’t want to be led by other people,” says Amit Shroff, vice president of finance and chief competitive officer at TFS. Labeling a program as an enterprise initiative produces a lot more buy-in, energy, and cross-functional acumen, he says. All that is not to say that data analytics can’t be directly aimed at financial initiatives. Applications in finance present some of the strongest use cases. Consultancy Maine Pointe, for example, was able to free up cash for a large agricultural products distributor that had made 40 acquisitions in five years, according to Nathanael Powrie, vice president of data analytics. Sales were declining and inventory levels ballooning. Within eight weeks, the data analytics team helped release $18 million by identifying ways to reduce inventory, close offices, and shed assets. Among those assets was a bloated fleet of light vehicles. The team looked at how many trucks the client had at each branch location, how many miles each vehicle was traveling, and how many runs each was completing. From there, the team was able to increase utilization of each truck and eliminate excess capacity. Maine Pointe also uncovered ways to cut the company’s roster of suppliers and the products it carried, leading to an ongoing 15% reduction in inventory. “The data analytics team is still working with the CFO on a strategy to go after another $50 million in inventory reductions” that Maine Pointe has identified, says Powrie. The company responded nimbly by modifying hiring and investment plans for the rest of the year to dial back costs and meet Wall Street expectations. By year-end, SAP had exceeded the earnings guidance set at the beginning of the year. “Without the analytics tools there’s no question in my mind that we probably would not have achieved that same result,” says McElhatton. 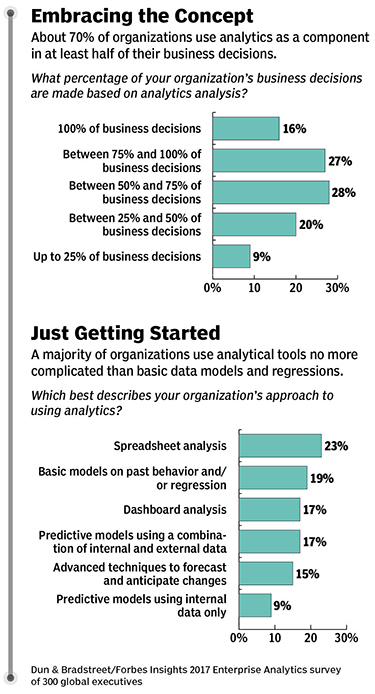 Analytics projects, unfortunately, aren’t plug and play, for finance or any other function. Even self-service analytics programs come with a learning curve. Oracle’s Clayton says companies need to upgrade the skills of people throughout the organization, especially the CFO. When Clayton meets a new client, he tells the CFO to take a data science class to better understand the risks of data-driven decision making. And he emphasizes that such learning shouldn’t be delegated. “Algorithms are going to be making operational decisions for [the organization] and perhaps there will be unintended consequences,” Clayton tells them. A few years ago, finance leaders at the $16 billion University of Pittsburgh Medical Center recognized that, due to industry-wide trends, they needed to switch their focus to containing costs from maximizing revenues. They looked for a cost activity accounting system but couldn’t find a health-care solution that worked for them. They ended up creating a system in-house that identified costs down to the patient and physician levels. One of the hospital system’s biggest successes came from comparing the costs and patient outcomes of three different kinds of hysterectomy surgeries that UPMC doctors perform: traditional, laparoscopic, and robotic. They realized that the minimally invasive laparoscopic surgery, when appropriate, had the best outcomes for patients and was also more cost effective than invasive surgeries. So, when possible, the hospital moved toward having more physicians who could perform laparoscopic surgery. “We were able to optimize the quality outcome and also the cost,” says DeMichiei. Of course, it wasn’t as easy as it sounds. DeMichiei says his team worked with a user group during the project’s development phase, and that group revealed gaps in the software’s performance that the team went back and closed. “You want to make sure that you’ve actually created what you wanted to create,” he says. Avocat Group, a commercial real estate consultancy, is beta testing a system that automates previously manual tasks. For instance, it combs through clients’ current lease information and compares it to market data to find variances. If market rents are significantly lower than what the client is paying, the client might want to renegotiate its lease terms or take additional space at an attractive rate. 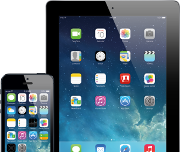 The system also sends alerts for upcoming events, such as the date when clients can take additional space or when they have to terminate a lease. It can even calculate real estate costs as a percentage of revenue and then compare real-estate-cost-per-revenue-dollar for each client location. But he says his team also understands that the data project will require ongoing adjustments. “I think, like most companies, we’re going to need to modify the software, not necessarily daily, but pretty frequently, and we’re expecting that it will always be a work in progress for us,” Batansky emphasizes. Yasmin Ghahremani writes about business and technology. 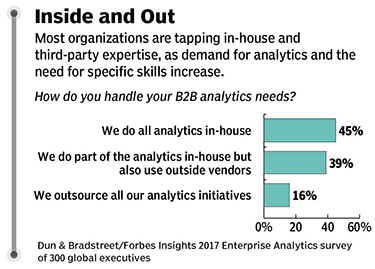 Capital-strapped companies may be willing to pay for the analytics capabilities you build internally. According to one survey, about 55% of all organizations are outsourcing some or all of their data analytics needs. So, if the projected return on investment for a data analytics project would make it a tough sell internally, it pays to consider whether the resulting tools or insights would be valuable to other businesses. In doing so, some organizations are turning their data and analytical capabilities into revenue-generating products. A few years after University of Pittsburgh Medical Center launched its homegrown cost-accounting program, an analytics company called Health Catalyst bought the rights to the software and hired the team that had created it. In return, UPMC received a small stake in Health Catalyst and a commercial version of the system, which is much more user-friendly than the old version. 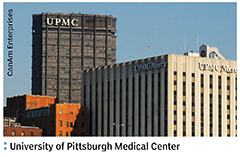 The ownership stake means UPMC indirectly benefits from sales of the revamped software. One financial institution is going a step further and creating a direct source of revenue from a data analytics platform that Clarity Insights is helping it build. The financial institution will sell the platform, slated to be released next year, to credit unions that are its clients. The tool is designed to help credit unions understand how their customers are performing and what the competition is doing. “Data and analytics should be looked at as assets,” Neetu Shaw, a partner at Clarity Insights, says. “Creating a revenue stream is one of the best ways to monetize and get value from your data.” | Y.G.